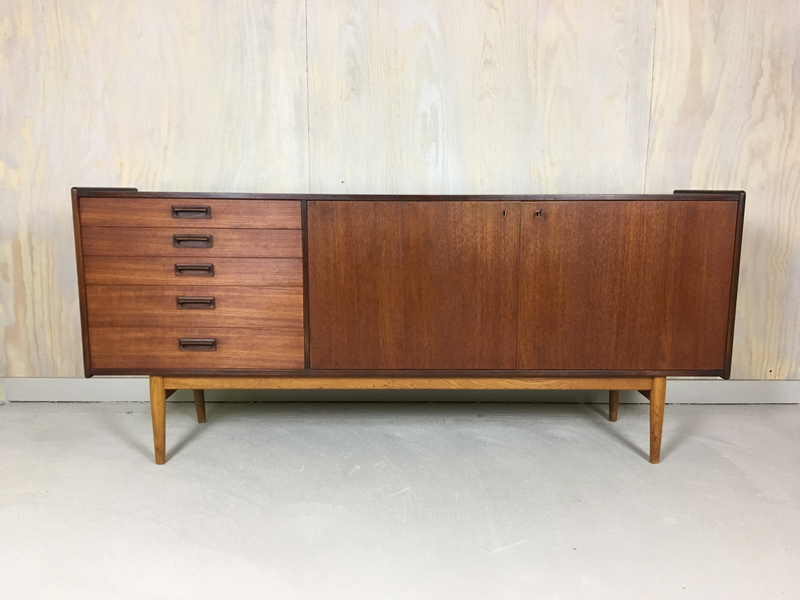 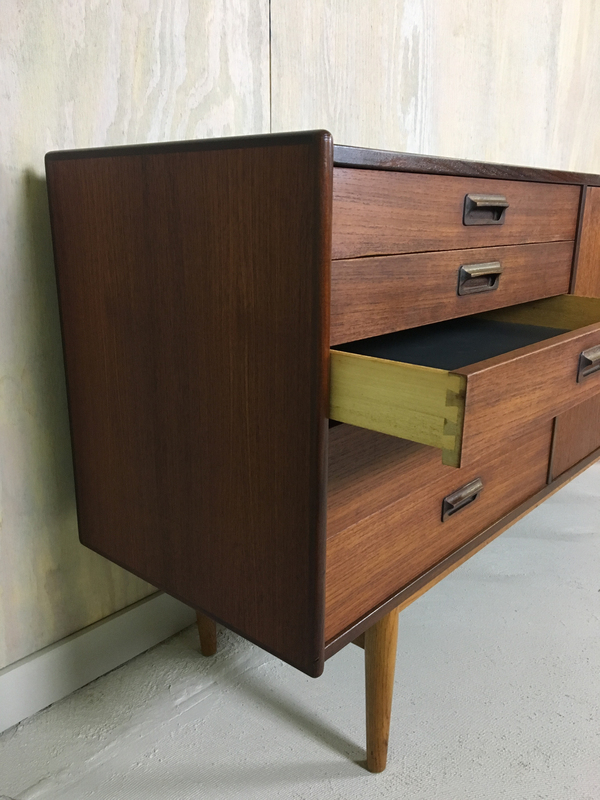 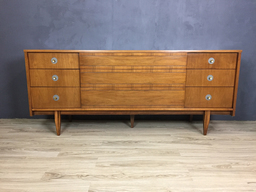 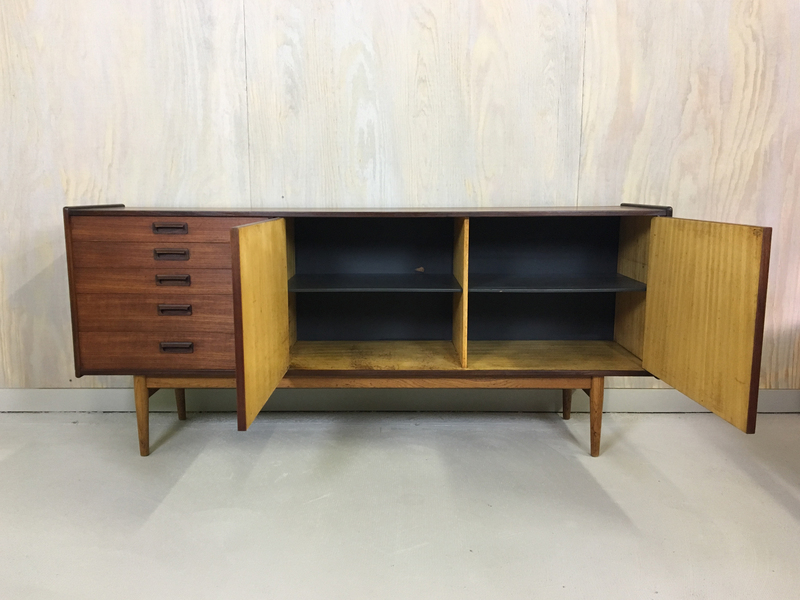 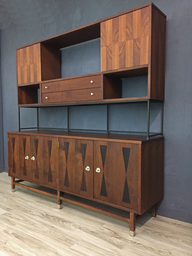 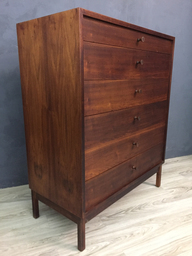 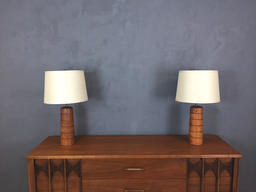 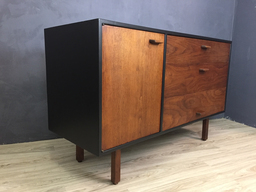 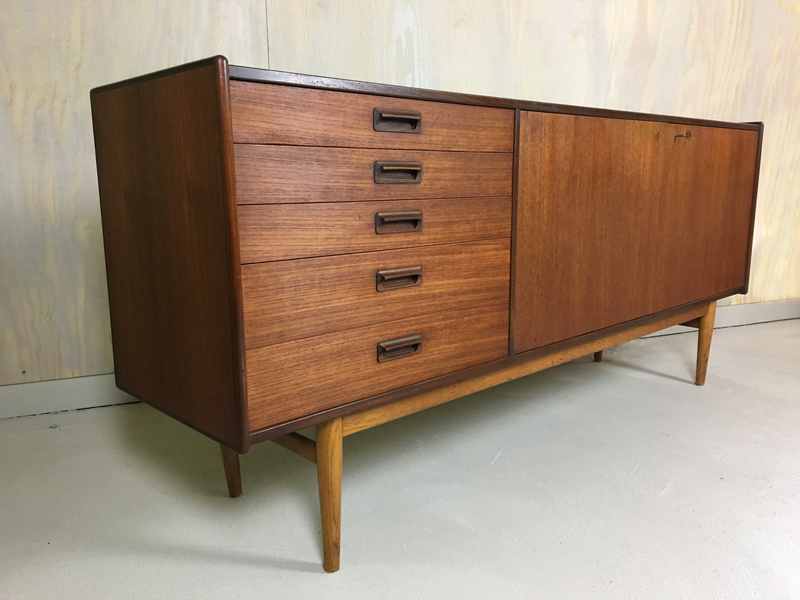 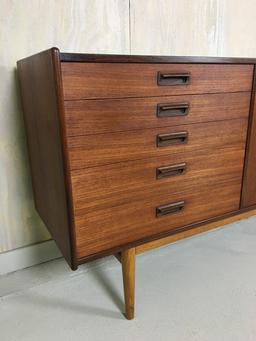 Exceptionally crafted teak credenza manufactured by Ulferts of Tibro, Sweden in the 1960s. Rosewood detailing along the edges and oak base. 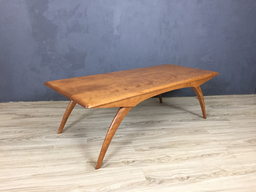 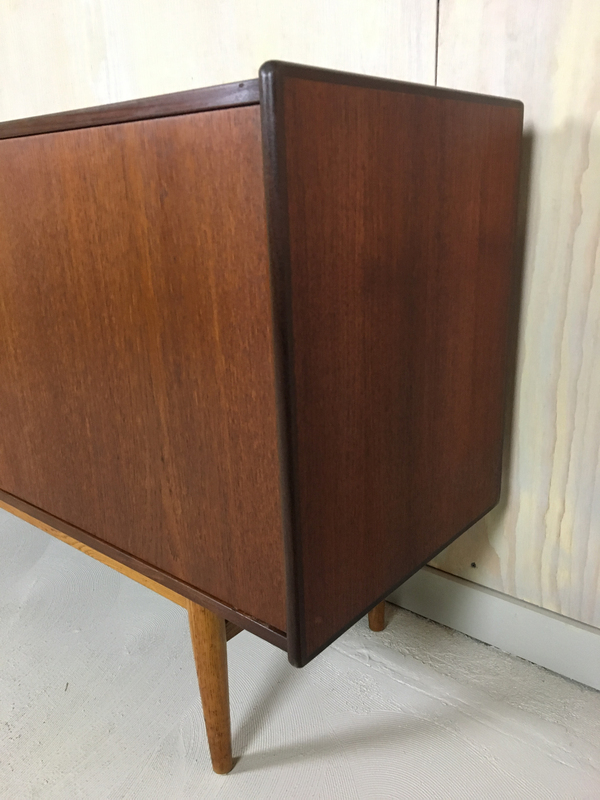 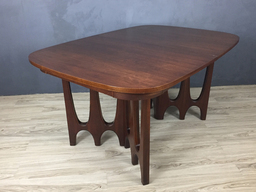 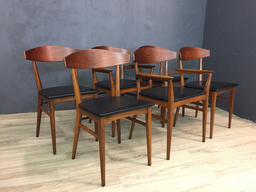 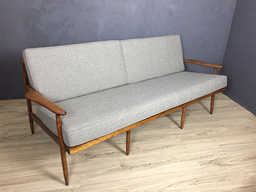 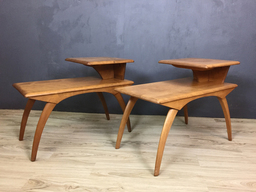 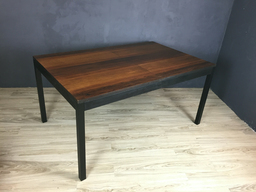 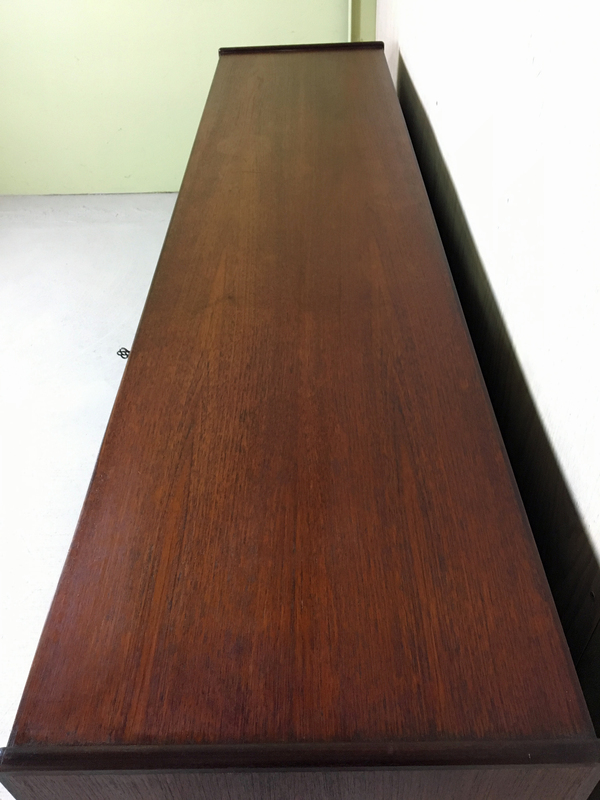 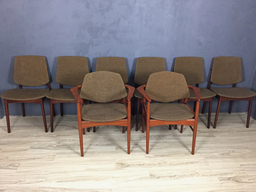 Teak has been restored and shows minor wear (see photos). Features five drawers with inset wood pulls and dovetail construction. 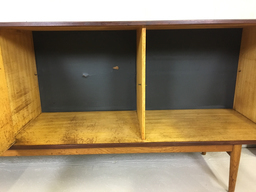 The interior is light birch and has two adjustable shelves. 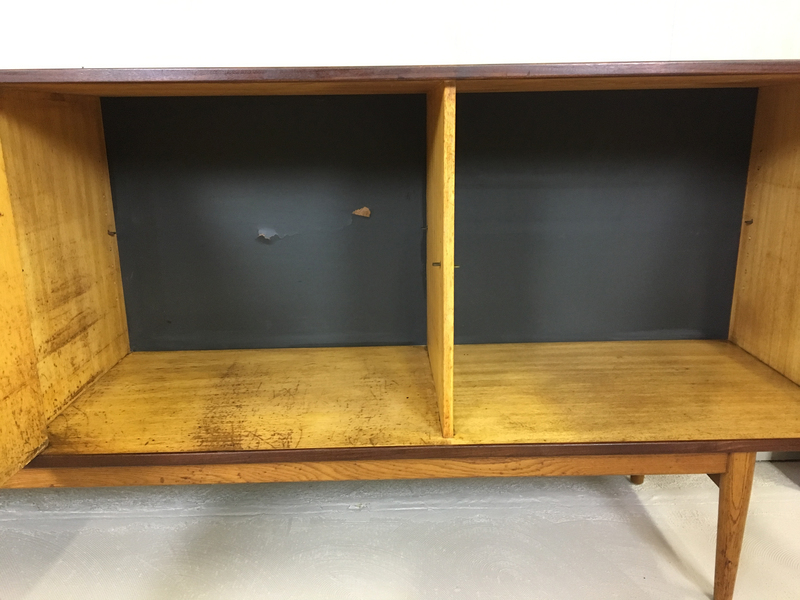 Signs of wear and age on the interior cabinet and two holes in the back. 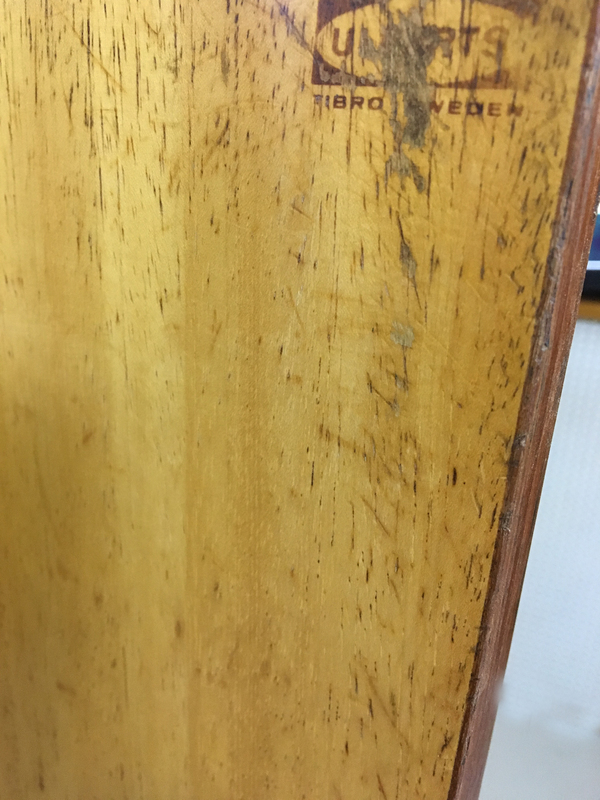 Stamped "Ulferts" on the door.